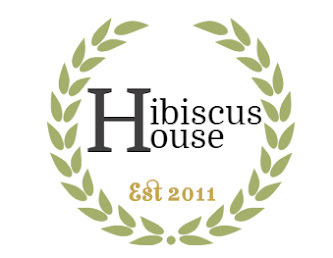 Hibiscus House: Taking Down the Simplest of Christmas Decorations! 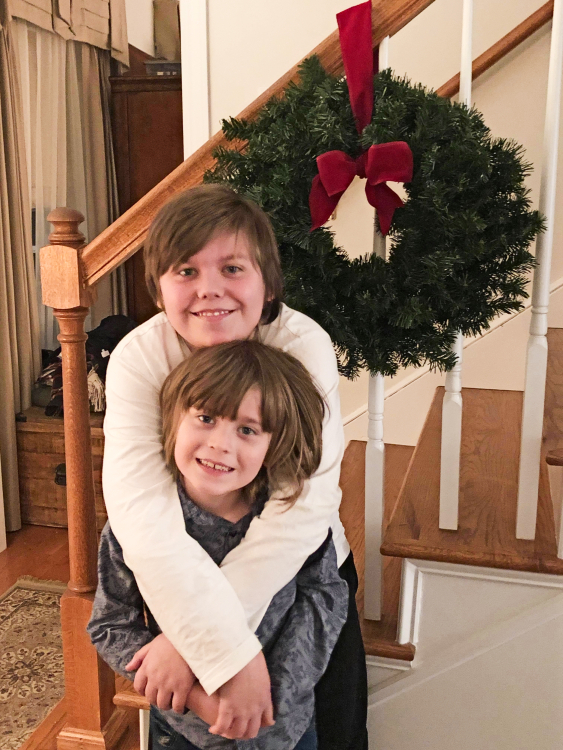 Taking Down the Simplest of Christmas Decorations! I guess, the time has come to take down the decorations. 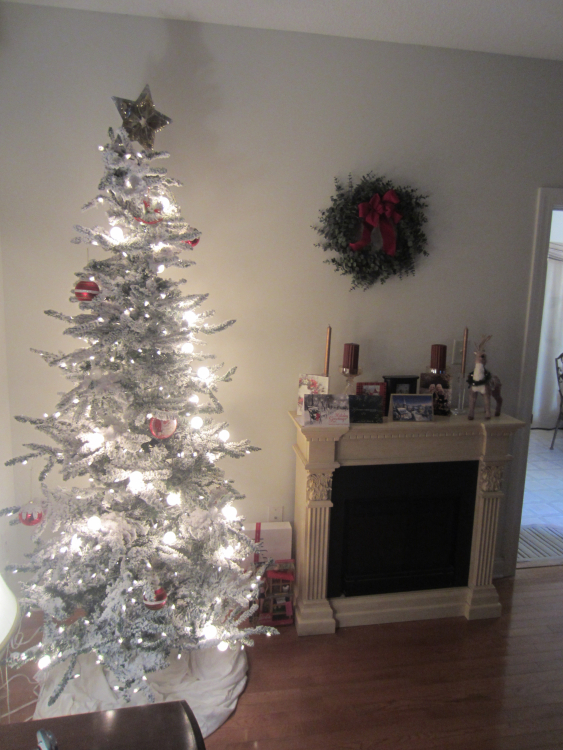 This year it will be especially easy as I barely had the time to put any up. I'll share what was done Christmas Eve for our decorations. When pushed for time I found one thing was needed, and that would be a roll of ribbon. 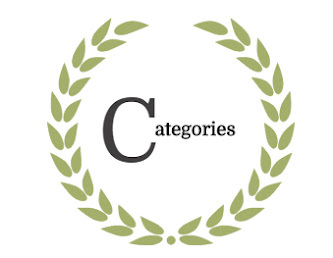 Do you need a quick decoration idea? My tip for today would be put a bow on it! They make so many beautiful wired ribbons and it truly is easy to make the bows! 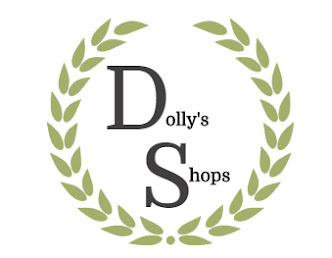 You may remember the beautiful preserved Boxwood Wreaths I did a Product Review on. They can't be placed in bright sunlight or outdoors for longer life I hang one inside my door from time to time. How easy can it be? Put a bow on it! 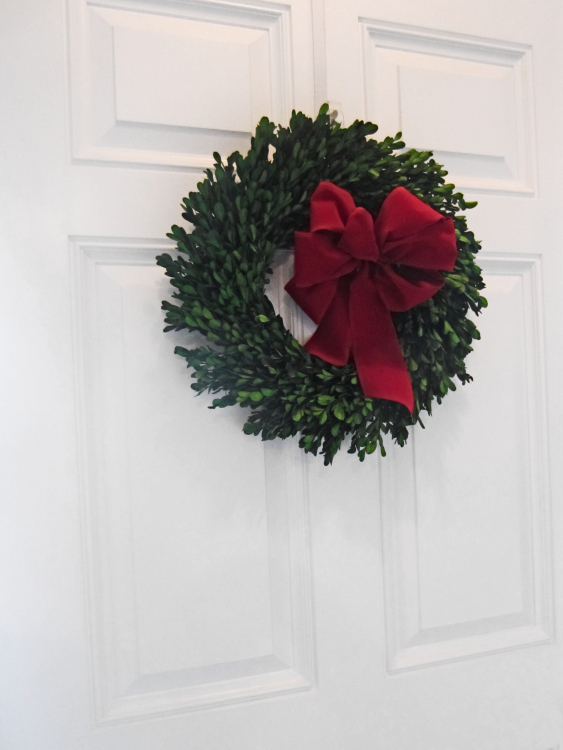 I purchased a few new artificial wreaths that very week! What did I do? 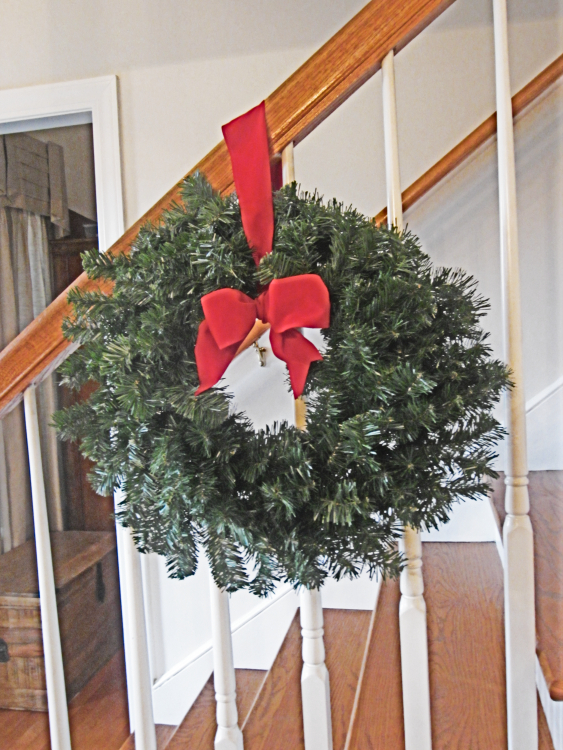 I put a bow on one and hung it on the staircase. Tied it on with some of the ribbon! Honestly, I love to hang the lighted garland yearly. This year I was disappointed, not to have it for the children. I see the excitement they have when the house is decorated. There was one thing I discovered that proved me wrong. He told his Mom to please take his picture there! 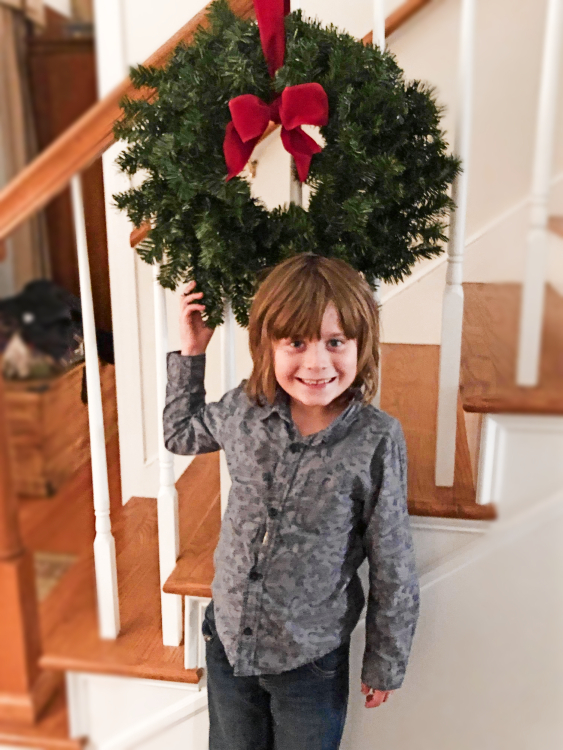 The littlest ones posed in front of this hanging wreath and smiled the biggest! We didn't tell them too they just did it! It really warmed my heart. Sometimes what we think isn't really how it is! It isn't the things, it's the people and the love behind it! It is hanging on the Dining Room Mirror. I simply made and added a bow to it! 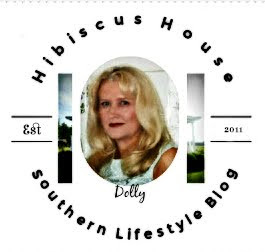 If you look closely you can see the wreath hanging on the staircase in the Foyer. The mirror, helps make the decor blend into the two rooms. 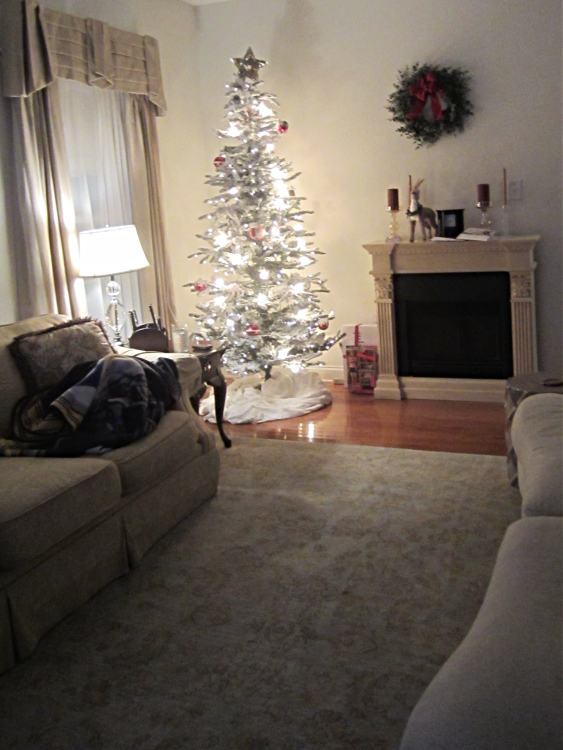 A peep around the corner into the Living Room looking at the new Flocked Christmas Tree. It is beautiful enough without being filled with adornment! It is magical as Carly calls it! 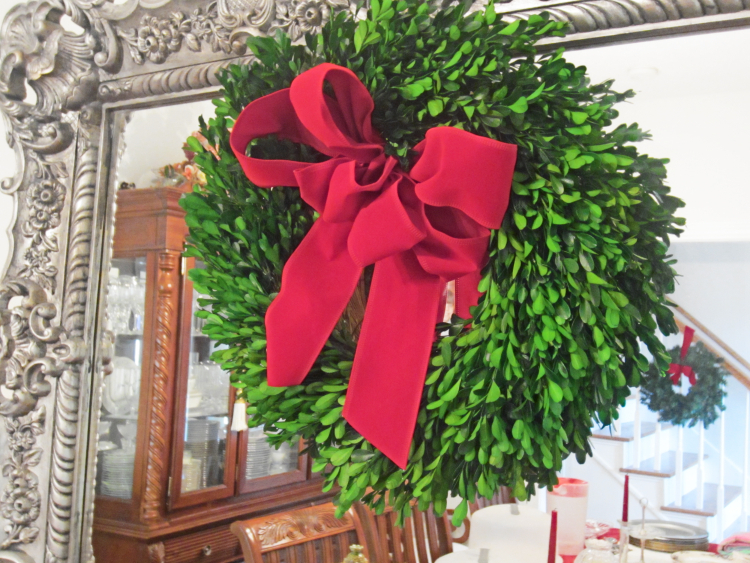 You can see the wreath that hangs over the mantel, I added a Bow to it! 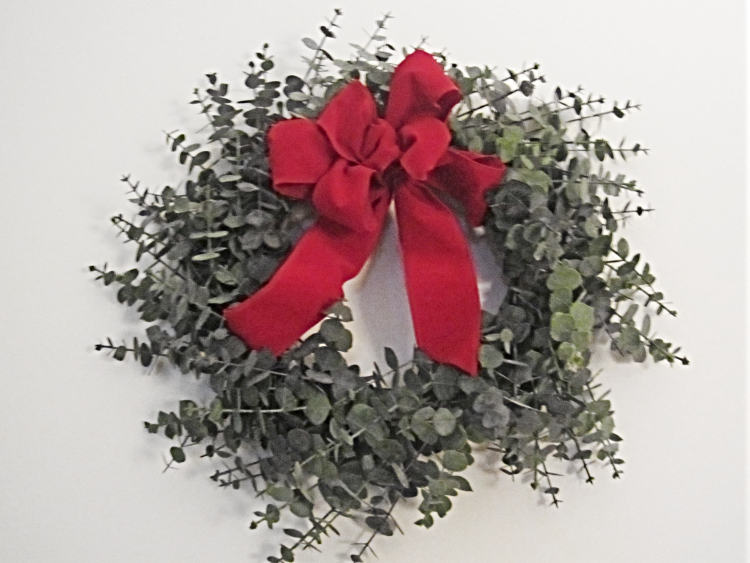 A closer view of the Eucalyptus Wreath with bow made quickly and added! Simple, traditional decorations that say Christmas! 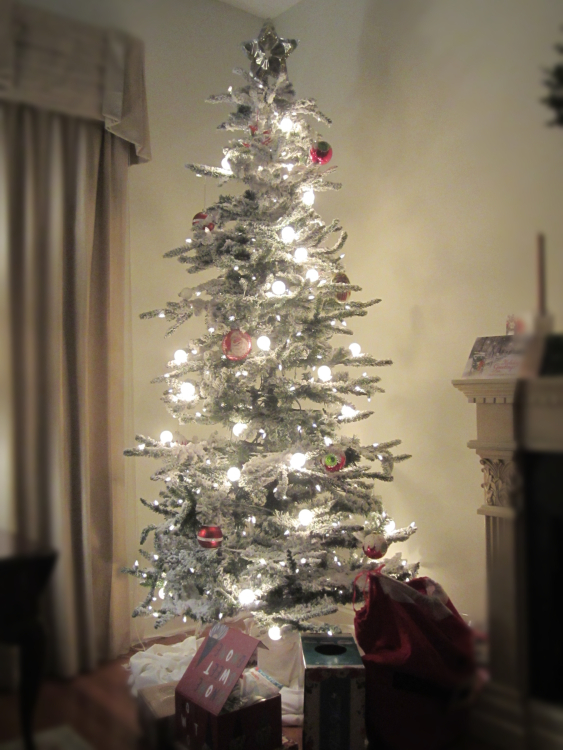 This shot was of a few red ornaments I'd placed onto the tree Placed a few more on, but this pic shows the tree better. You can see our special Star on the top! This is the Star that I grew up with. Without telling the world my age, I can tell you that thing is Old! What remains of it anyway! 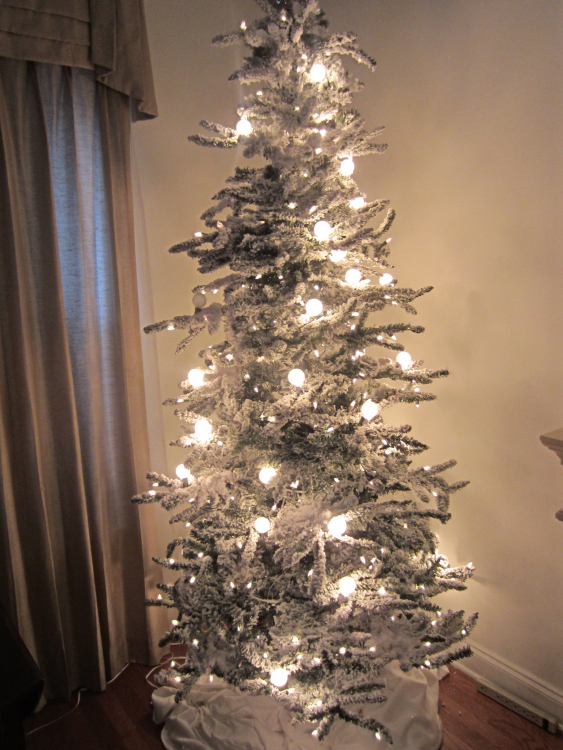 It has lost some tinsel and tin, but is still very beautiful to me! 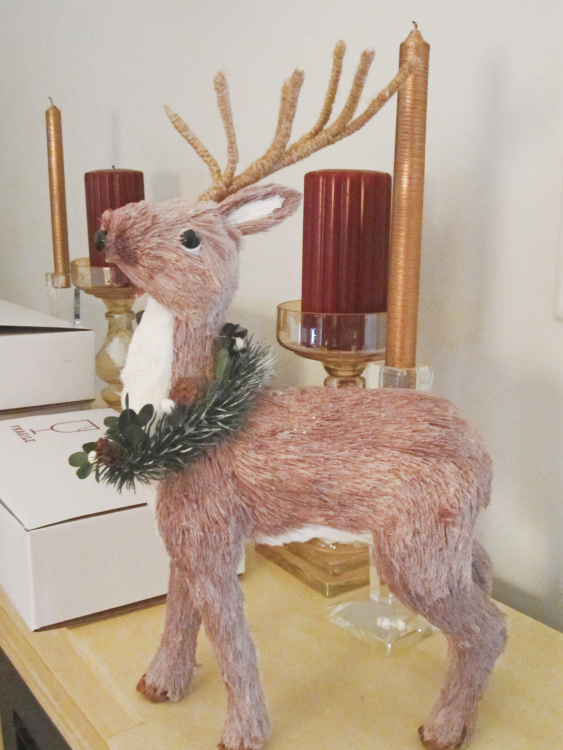 I picked this cute little deer up this year. He was just irresistible, & I knew he had to come home with me. I thought I'd add this picture to show the round globe lights on this beautiful tree. 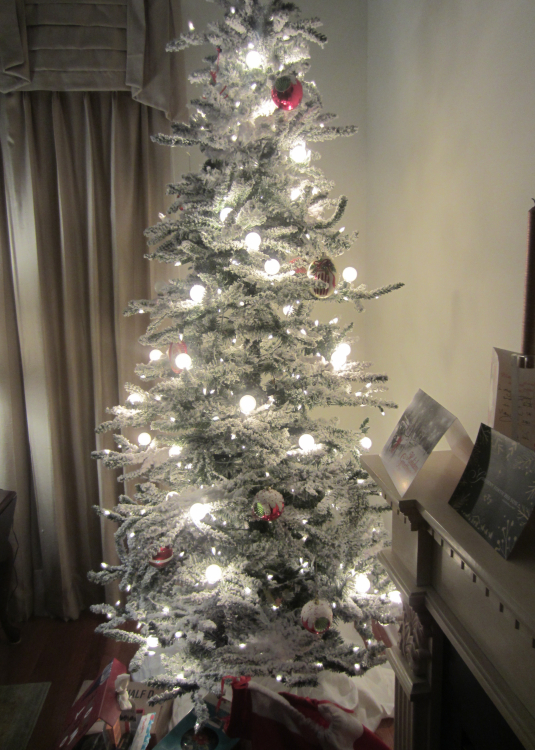 The tree is actually quite a bit more beautiful than the photos I can get of it. I have to say the memories of this Christmas will linger on. Family togetherness, good food, along with lots and lots of love will never be forgotten! Pack a few red ornaments and the deer up for a year. Great thing about not having the time to decorate to the hilt, putting it all away is a breeze! 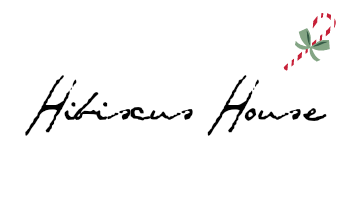 I hope you had a wonderful Christmas and have a Very Happy New Year!